dia.log - The Gamer Matters Podcast | Listen Free on Castbox. On this episode of dia.log - The Gamer Matters Podcast, we have Meck outlining some tips if you want to buy a gaming laptop. Danial has been having fun with Origin Access, the game subscription service by EA. And dia.cast is back to discuss the roller coaster that is the Bahrain Grand Prix.Wam didn't play any games so he talked about more manga and the new Ultraman show on Netflix... before slowly realising he did play other games and decided to talk about it more. Like Warframe, which Anan played a lot too.But to top the show, everyone here is excited for Borderlands 3 finally get announced. Though that all stopped when we discussed the development woes of Anthem, which explains a lot of why the game is as is.Also: we said the word "cyber" this year: a dated word in the world of video games. The dia.log crew are back again with their long talks about video games and video games-adjacent passions. Meck got another review unit again just by showing up to a media event. Wam tells the long tales of the Love Shack, a little old place where we can get together and do combos in Devil May Cry 5.Anan finally tried out Persona 5. And unfortunately for Danial, he has not many good things to say about Left Alive.We also chipped in our thoughts on Stadia, Google's new gaming platform that we won't be available here.Outside of the realm of games, Wam laments that he is a living embodiment of a typical manga character while dia.cast revs up as the racing boys got excited that F1 is back.Get ready, this party's getting crazy! In this episode of dia.log - The Gamer Matters Podcast:Meck played with Legos (The Lego Movie 2 Videogame).Danial found an FMV racing game.Wam hates Geralt from The Witcher 3.Anan Goes Russian Post-Apocalypse Metro Exodus.While Danial seems to like the American Mat Rempit Post-Apocalypse Days Gone.Melee players got salty.And Melty Blood players in the bathroom rejoiced.All this, and more, in dia.log- The Gamer Matters Podcast! We're one year old now! It just can't stop getting longer.In this episode of dia.log - The Gamer Matters Podcast, Meck continues to dive into looter shooters. He gave us some deats on The Division 2 and updates the state of Anthem after being released twice.Meanwhile, Wam flirts with the devil by playing Daemon Ex Machina and Devil May Cry 5 demos. As well as calling out terrible business practices in the games industry.Danial finally gets a win in GT Sport, faster than a certain F1 driver could. We talked about the F1 and also what we saw at a local game developer gathering.Plus, Anan is calling Apex Legends a GOTY contender already and lectures us on how students should approach us for academic help.Finally, we raved about Cybercops With Stands (Astral Chain), the other great battle royale game (Tetris 99), discussed core values of Dead Or Alive 6 and bid our goodbyes to a long time friend. REGGGIIIIIEEEEEEEEE!!! "Video games, am I right? "It's been a wild two weeks for gaming. Apex Legends out of nowhere just dropped. Daniel and Anan liked the free-to-play battle royale, while our resident Titanfall fan Wam laments that we are getting this instead of Titanfall 3. And the Metro Exodus talk continues, for all the wrong reasons.Meanwhile, Meck continues his looter-shooter adventures and weighs in on Anthem, a good Mass Effect Andromeda game by Bioware. Wam finished Kingdom Hearts III and liked it enough despite some faults.Daniel launches a new segment for our ongoing cars, motorsport and racing games talk. Irham... played a mobile game? But he brought in his buddy Farid who has high praises for Sunset Overdrive. And she helped encode the eldritch horror that is graphics cards.Ask your JUMPMASTER to drop on Mangoes and turn up that jellybean processing, it's another long one! In this episode of dia.log - The Gamer Matters Podcast, we have Anan pining for Metro Exodus so much we drafted an open letter to request one (#GiveAnanMetroExodus). We also had Meck complaining about lolis and explaining his divisive opinions of Tom Clancy's The Division. He also played another game with a name at the front, the new 4X strategy game Jon Shafer's At The Gates.Meanwhile, Wam tried Dead Or Alive 6, Jump Force and Override Mech City Brawl. And also launched a long conversation about Jeff Bucks and Overwatch. And then we have poor old Daniel, who has suffered too much covering trashfire AAA games it broke him. He is now on a AAA detox.Please folks, take care of yourself and play a few indie games here and there to ensure a healthy gaming diet. And for the love of God DO NOT SELF-PRESCRIBE YOUR OWN BIOSHOCK INJECTIONS. 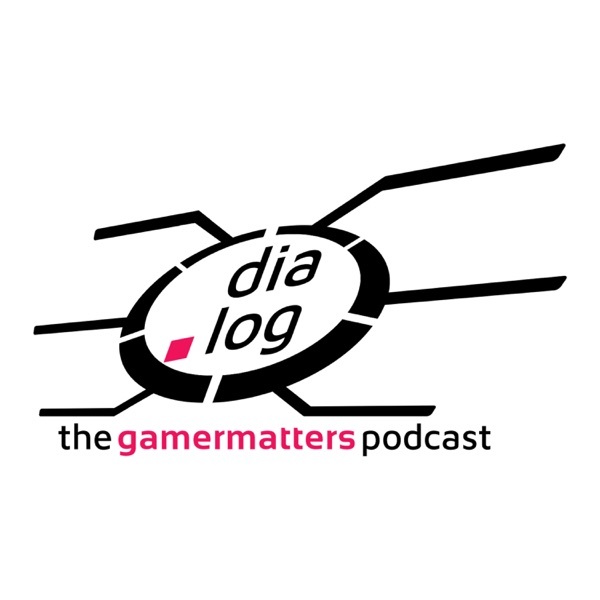 We're back!dia.log - The Gamer Matters Podcast is here in 2019! Wam went to Japan and finally got Reggied! We watched/played Black Mirror Bandersnatch! Meck goes on about Spyro again! Anan is now a space Grab driver saving up to do space backpacking in Elite: Dangerous! Daniel dived deep into the Malaysian Roblox community and uncovered a wacky world governed by rulers and elections!All of that, and some talk of new consoles that you did not expect coming fit into a more shorter show. For now.Note: In the middle of the Spyro talk, we had an oopsie-woopsie (technical difficulties), but no important conversation was lost. 2018 is wrapping up and we here at Gamer Malaya and Gamer Matters are ready to close the year with one last hurrah: celebrating the best games we play this year! And berating some of them too.Just like last year, we are doing our very own awards and again, the award winners here reflects on the opinion of the GM crew only.We are also be letting you hear in on how we make our decisions, a three-hour deliberation process. It is the last episode of dia.log- The Gamer Matters Podcast for this year.Enjoy and see you in 2019! The penultimate episode of this season's dia.log- The Gamer Matters Podcast is here. And as we wrapped our first season of podcasting, our past sins and technical issues cropped up again.In this episode, Wam spent time in internet jail for his hot take, got Smash (Bros. Ultimate) and watched a Pikachu parade at the Pokemon Festival. Meanwhile, trash connoisseur Daniel regrets playing Fallout 76, lamented the state of the Mario Kart of motorsport and some concerns over the new Epic Games Store.Anan at least had fun, playing Bloodborne from the start again. Until he discovered how his shipment of Overwatch League jerseys were costing too much thanks to taxes. And he casted Aeroga. Lastly, Meck defected to team ASUS, says no to underage underboob, regretted namedropping someone to the crew, and played Monster Hunter: World.And thanks to the many, many game announcements, this is another two-hour treat. Happy holidays! And may we all repent from our sins for (allegedly) not wearing pants. But most important of all, Thank You Fortnite. Hello, fellow listeners. Please take your seat and ensure you are in a proper posture. Please ensure that the dead air is not.. dead.It's another episode where the Gamer Matters crew went out and about. Daniel and Meck got to see the KL Major. Then Meck and radio personality Wam got to check out the Play Everything Lounge by Playstation early. Meanwhile, Anan proves to the world that he is our Overwatch League correspondent and the horrors of not-free shipping.But that's not all. We dissect what's wrong with the Kingdom Hearts III demo we played, the issue with PS Classic, Wam demonstrating Sekiro: Shadows Die Twice's resurrection mechanic and the nature of Will Smith. Is he a hitman or Lewis Hamilton's Nobody?